[S190] Index - GRO and Office of National Statistics, England & Wales Civil Registration Qtrly Indexes, Birth: District of Wolverhampton, Vol 6b, p838, 1Q1946. [S190] Index - GRO and Office of National Statistics, England & Wales Civil Registration Qtrly Indexes, Marriage: District of Wolverhampton, Vol 9b, p2976, 3Q1972. [S677] Index - England High Court of Justice, England & Wales National Probate Calendar, probate registered in Winchester registry, no. 3103025. [S1100] Newspaper - The Straits Times, issue of 23 Sep 2008, p38, Obituary. Janet BEATON was also known as Janet LEITCH as the BEATON and LEITCH names are somewhat inter-changeable in Argyll. Why this is so is unclear, there being several theories -possibly it is a reference to the BEATON doctors use of leeches and it has also been suggested that it is derived from the Old English name for a doctor being 'laece' > Leche > Leach/Leitch, although the relevance of OE words to the Mull area is questionable. Regardless of the reason, Janet, although baptised and married as a BEATON, is referred to in her husband's death entry and other documents as Janet LEITCH. [S918] GRO Scotland, death record, Parish of Tobermory, Statutory Deaths, GRO 549/00 0004, aged 77. [S612] GRO Scotland, birth/bapt record, Parish of Kilninian and Kilmore, OPR Births/baptisms, GRO 544/00 0010 078. 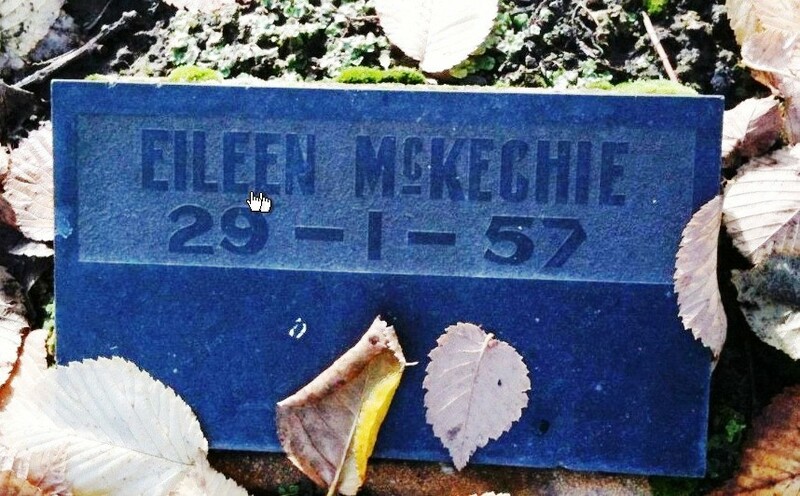 [S918] GRO Scotland, death record, Parish of Tobermory, Statutory Deaths, GRO 549/00 0004, of Angus MCINNES claims his parents were John MCINNES and Janet LEITCH. [S917] GRO Scotland, marriage record, Parish of Kilninian and Kilmore, OPR Marriages, GRO 544/00 0010 154. [S118] Census - 30 Mar 1851, UK census, Scottish GRO 549/00 005/00 0001. [S918] GRO Scotland, death record, District of Tobermory, Statutory Deaths, GRO 549/00 0003, aged 64. [S612] GRO Scotland, birth/bapt record, Parish of Kilninian and Kilmore, OPR Births/baptisms, GRO 544/00 0010 157. [S612] GRO Scotland, birth/bapt record, Parish of Kilninian and Kilmore, OPR Births/baptisms, GRO 544/00 0010 161. He married Marion McINNES in Argyllshire. [S488] Index - Queensland BDMs (online and fiche), at https://www.qld.gov.au/law/…, Marriage Reg. No. 1912/B11365, p1498, spelt Beattie. [S488] Index - Queensland BDMs (online and fiche), at https://www.qld.gov.au/law/…, Birth Reg. No. 1879/B24894, p856, spelt Beatty, son of John Beatty and Eliza Fenning. [S488] Index - Queensland BDMs (online and fiche), at https://www.qld.gov.au/law/…, Death Reg. No. 1943/B63443, p137, spelt Beattie and Beatty, son of John Beatty and Eliza Fenning. 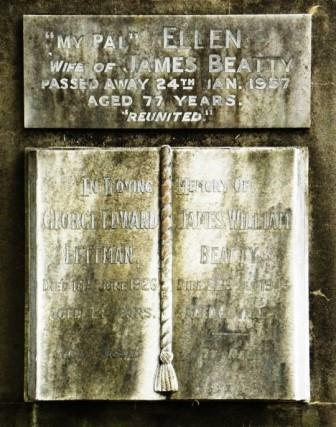 [S489] Brisbane City Council Cemeteries database, at https://graves.brisbane.qld.gov.au/, Portion 15, grave 257. [S190] Index - GRO and Office of National Statistics, England & Wales Civil Registration Qtrly Indexes, Marriage: District of Poplar, Vol 1c, p753, 2Q1934. [S190] Index - GRO and Office of National Statistics, England & Wales Civil Registration Qtrly Indexes, Birth: District of Biggleswade, Vol 3b, p385, 2Q1878. [S1044] Census - 29 Sep 1939, UK Register, RG101/0447J/022/19, Letter Code: AQNW, Schedule 301. [S190] Index - GRO and Office of National Statistics, England & Wales Civil Registration Qtrly Indexes, Death: District of SW Essex, Vol 5a, p120, Sep 1953, aged 75. [S677] Index - England High Court of Justice, England & Wales National Probate Calendar, probate granted in London to Florence Susannah BEAUMONT, widow. [S1044] Census - 29 Sep 1939, UK Register, RG101/0091J/004/34, Letter Code: AEOX, Schedule 41. [S190] Index - GRO and Office of National Statistics, England & Wales Civil Registration Qtrly Indexes, Marriage: District of Camberwell, Vol 1d, p2258, 3Q1937. [S190] Index - GRO and Office of National Statistics, England & Wales Civil Registration Qtrly Indexes, Birth: District of Camberwell, Vol 1d, p967, 4Q1902, mother's maiden name KNIGHT appears to be the best match. Eileen Lucy Frances Sarah BECKETT was born circa 1899. [S542] Index - New Zealand BDMs online, at http://www.bdmhistoricalrecords.dia.govt.nz/, Death Reg. No. 1957/20772, aged 58. [S443] CD - NZ Marriages, CD - NZ Marriages 1836-1956 V2, Marriage, 1948, folio 07070. [S1049] Cemetery Marker - , Woodlawn Memorial Garden, Christchurch, NZ. [S581] London Metropolitan Archives, at http://www.ancestry.co.uk, London and Surrey, England, Marriage Bonds and Allegations, 1597-1921, DW/MP/018/014.